Robert Morris ended their first semester having faced a lot of tough non-conference teams that were highly rated. In these games, they competed and fought hard against top teams like Colgate, Minnesota State and Cornell. Robert Morris was able to tie all of the three aforementioned opponents thanks to hard work. Star center and Colonials leading scorer Jaycee Gebhard stated that this was great for the team. 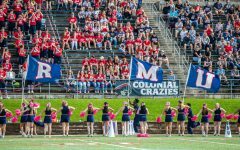 Not only did the first semester feature tough opponents, it featured a lot of games in general for RMU, 22 to be exact. With many being on the road in far places such as Minnesota, the team gladly took the rest. Now back at home, the Colonials are starting to get back into the rhythm of things. As time went on, the team has went from basic conditioning to now having game-like competitive practices as well as refreshing their own systems. 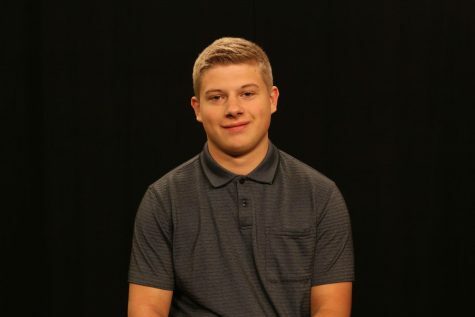 “We have been splashing in as much competition drills as we can splash into practice, to get that game feeling back, to get that competitiveness feeling where you really gotta to outwork somebody or control the puck or earn the puck and score goals. In conjunction with that you want to retouch on all of your systems and make sure everyone knows what to do offensively, defensively, so that with a long Christmas break you don’t feel like you missed anything,” Colontino stated. 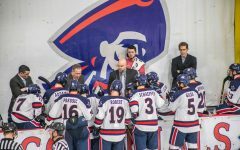 Robert Morris will look to expand on their CHA play as the division leaders starting Friday. They are currently about to embark on a stretch that sees them face off with all CHA teams up until the end of the regular season. The first of these opponents will be the Syracuse Orange this Friday at 7:00 p.m. followed by a Saturday game at 3:00 p.m., both in New York. Like RMU, Syracuse has found themselves having a lot of tough non-conference games, making their win-loss record very deceiving with only four wins. 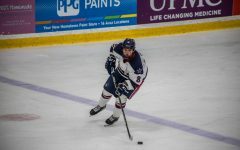 “They have played some of the top teams in the country, they have been really well battle tested and their win loss record by no means justifies the level of ice hockey that their playing at the moment. It doesn’t matter who we’re playing they are conference games and they mean a lot to us,” Colontino remarked. “We definitely know that Syracuse is a tough team to play at home so we can’t take them lightly and we just gotta be ready to go and I think we are all going to be excited to play after five weeks off,” stated Gebhard.